Every year Forbes publishes a list of the world’s richest people. Bill Gates was at the top of that list for years. This year he was second. Some oil guy in Mexico beat him out. Simple. 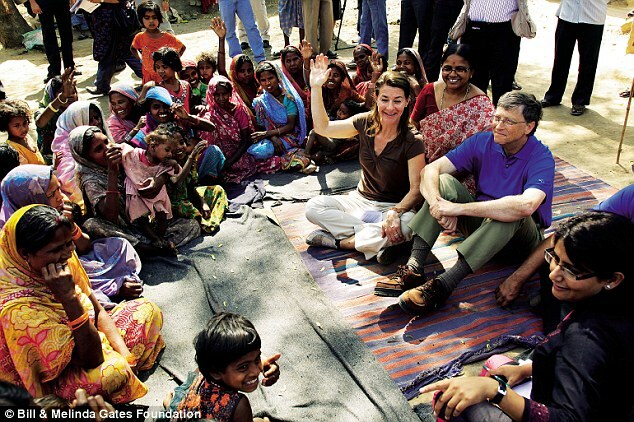 A decade ago, Bill Gates decided he was going to give away all of his money and he is doing it. His fortune has dropped to 50 some billion dollars because he has given away $28 Billion to help the needy. He is spending his money to try to chase down a vaccine for one of the world’s greatest diseases–malaria. Until the vaccine is found, he is using his money to help fight the disease among the poorest among us. At 55, Bill Gates has made more money than I will ever know or see or even understand–in fact, he has given away more than I will ever understand. His generosity has made him the world’s second richest man by Forbes standards. I say he is richer. I don’t know whether he is a follower of Jesus or not, but He is doing the work of the Kingdom. Thanks, Bill.